Mocro Maffia is a crime story about best friends Romano, Potlood and De Paus. With the three of them, they rise in rank within the criminal world. Before they know it, they own the total coke market within Amsterdam. Because of jealousy, their relation becomes complicated and ends up hostile. Where can you stream Mocro Maffia? On 2018-10-11 TV Series Mocro Maffia first aired on Videoland. 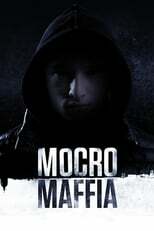 Written and created by Achmed Akkabi & Thijs Römer, Mocro Maffia will return and was last broadcasted on 2018-10-11.